This was my third larger week in a row, and I am happy to say I feel great! I get a slightly lower week this week (maybe 10km less and an extra rest day!). Then it&apos;ll be a slight taper leading up to the Seawheeze Half-Marathon, which is just 2 weeks away (not excited at all ). Monday: OFF. I did the NTC Core Crunch 2.0 workout. Tuesday: Double run day, AM: 45&apos; easy, PM: 30&apos; easy. I also did the NTC Core Strength workout. Wednesday: Track workout at PISE, 20&apos; easy, 2 sets of: 1500m @MP, 600m, 400m, 200m, 20&apos; easy. It was hot AF on the track, but we still gave it out best and I rewarded myself with Tacofino. Thursday: Double run day, AM: 60&apos; easy, PM: 30&apos; easy. I also did the NTC Abs and Arms workout. Friday: 45&apos; easy, snuck this one in before work since I had a going away party after work which lasted around 8 hours and again ended with a Tacofino. Any week that includes 2 trips to Tacofino is a solid week. Saturday: Group workout at Beaver Lake, 20&apos; easy, 2 x 3km @HM, 2 x 1km @10km, 35&apos; easy. This was good and hard. I also did the NTC Ab Burner 2.0 workout. Sunday: Long run, planned a point-to-point route with my running buddy, which took us to Sidney so we could eat crepes and vegan affogatos at our friends&apos; shop. We put in 20km on Lochside trail. I also did the NTC Best Foot Forward workout. This week was considered my second build. I am increasing my weekly mileage in preparation for marathon training. 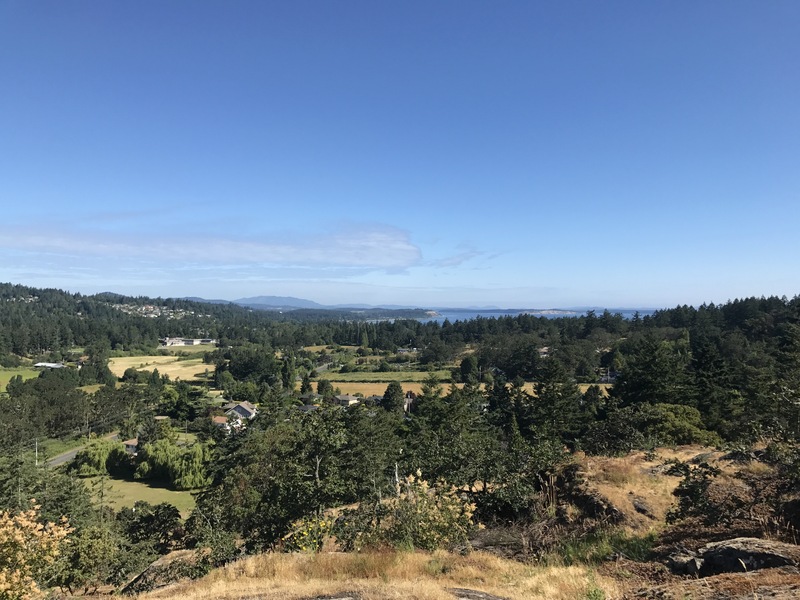 It&apos;s just 3 weeks until the Seawheeze half-marathon in Vancouver, and 13 weeks until the Scotiabank Toronto Waterfront Marathon -time to get serious. Monday: OFF. NTC abs and arms workout. Tuesday: Double run day: AM 60&apos; easy, PM 30&apos; easy. I did NTC ab burner 2.0 when I got home. Wednesday: Was meant to be a track workout, and then the track was closed, so we ran to a high school where we thought there might be another one. No such luck. Instead we did 60&apos; easy a social/catch-up run. We were happy with that. I also did the NTC core strength workout. Thursday: 80&apos; easy, ran home from work the long way, saw the ocean and then gave the legs a couple large hills for some strength. Friday: 40&apos; easy, I ran to work. I like to get short runs done so I can enjoy the afternoon once work is over. Saturday: Group workout: 20&apos; easy, 2 sets of: 1.73km, 2.18km @HMP, 20&apos; easy. 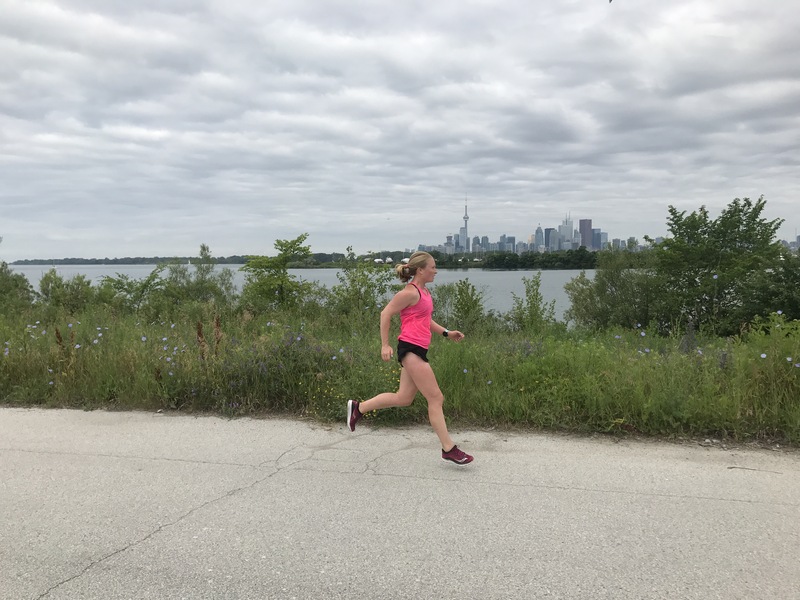 The paces ended until being 10km pace, it was a good hard workout – I know this because I felt like I was going to throw up. I also did the NTC ab burner and abs and arms workouts. Sunday: 80&apos; easy, back on the old marathon training route with Lisa. Feels good to be back and the runs are feeling good so far! I did the NTC core strength workout. This is a double training recap, 2 weeks worth of activity. I neglected to post last week as I was away on vacation in Muskoka. Right now I am waiting to board my flight back to BC, so it’s a perfect time to look back on the last 2 weeks of training. This week my time will be split between Victoria and Vancouver and I will finally be able to participate in a group workout next weekend, it’s been far too long! Last weekend (the most fun weekend ever!) took a lot out of me, and as such it was an absolute struggle to get up all week for my 6am alarm. This was my first week back in Victoria after then rest of June was spent in Vancouver. I ran all 7 days and was happy to attend both Weekly Island Striders workouts, plus a team meeting! It’s getting hot pretty early in the morning now, so I might have to reconsider my mid-afternoon runs and either wait till later or start super early. In other news, my annual Garmin tan is off to a great start and I’m sure after 2 more months of sun, it’ll be even more amazing! Monday: 90′ easy, owed from Sunday, but we were in no shape to run post-wedding so..
Tuesday: 45′ easy, I ran home from work and then did an NTC abs and arms workout. Wednesday: Group workout at UVIC track, it was 20′ easy followed by 2×90” tempo, and then 2 sets of 5x200m on the track. Challenging for sure! But wait, that’s not all, we did a series of plyos too, which I am not coordinated enough for, but I tried! Lots of hilarious photos from that. And then because that wasn’t sufficient, a core session, which was also tough, but I enjoyed it. Thursday: 90′ easy, I took a similar route as Monday, but a bit slower since my legs were “feeling” the previous days’ track workout. This route takes me along the ocean for a while, and then all the way up Cook St for some killer hills. Friday: 30′ easy and 5×10” strides, I ran to work so I could get my run out of the way. I also did the NTC core strength workout. Saturday: Group workout: hills, this was another difficult workout, short, but definitely not easy. We had 20′ easy, 2×1′ hill repeats, 3×45” hill repeats, 3×30” hill repeats, 3×15” hill repeats, 90 second break, then 5’@ tempo, 20′ easy. The hill we used had a major incline and I couldn’t have been happier when we got down to the 15 second ones! I also did the NTC Ab burner workout. Sunday: The plan was 90′ easy, so a few other Island Striders and I headed out to Mt. Doug and promised an “easy loop”. Well one of the girls is a bit of a mountain goat, and it didn’t end up being easy. In fact, it ended up being difficult and so steep some of the climbing was actually hiking. The views were amazing though. Since she was only joining us for the first bit, we continued onto a gravel trail after that and were able to pick up the pace for the rest of the run hitting the 18km we were targeting, but weren’t sure was achievable after the hilly start! This week my time will be split in 3 cities and 2 provinces, the first bit of the week will be in Victoria, followed by a couple days in Vancouver and then Friday I fly to Toronto for vacation in Muskoka!